Where: Meet at Phelps Gate. 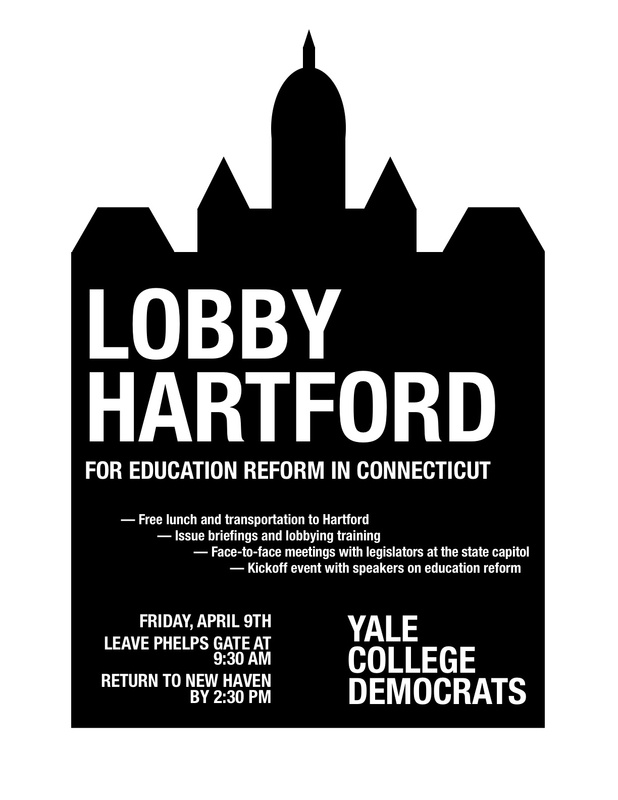 Join students from Yale and across the state on Friday, April 9th at the Capitol Building in Hartford to lobby the legislature for education reform! Connecticut students deserve better than the status quo. Please consider coming to Hartford to demand better schools, and learn what it takes to make a personal impact on the legislative process. TO RESERVE YOUR SPOT, go here:�http://tinyurl.com/ygv5unh. Free transportation will be provided, and lunch as well. Well leave from Phelps Gate at 9:30 am and be back in New Haven by 2:30 in the afternoon.